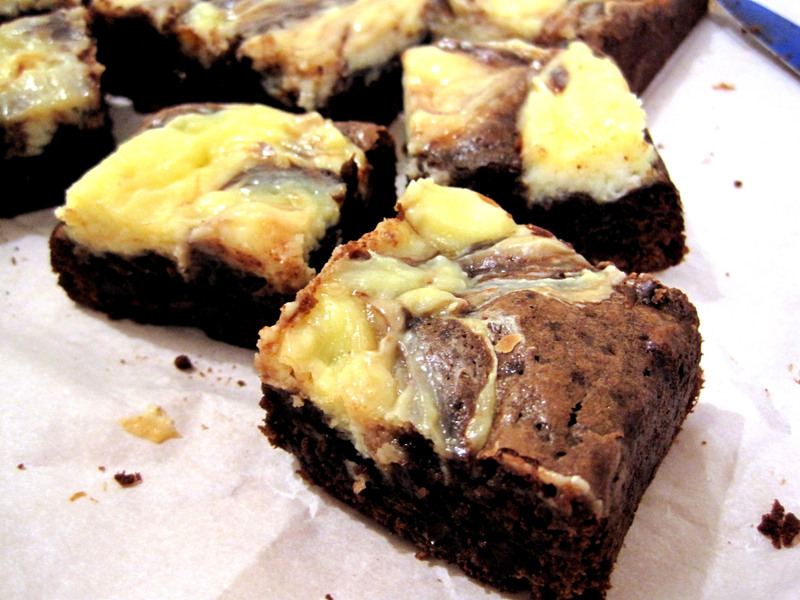 Cheesecake brownies are a perfect way to use up your cream cheese when you only have a block or less. So I made some! I used a recipe from David Lebovitz and tweaked it to include less sugar in the brownie base. The brownie turned out to be not noticeably sweet, but the richness of the chocolatey base and the creaminess of the cheesecake layer made it feel like an adult brownie. 3. In a medium saucepan, melt the butter and chocolate over low heat, stirring until smooth. Remove from heat and beat in the 1/2 cup sugar, then the eggs.